A Well-Seasoned Life: Green Giant's Giant Surprise! Whenever I think of quality canned and frozen vegetables, my mind always goes to one brand name first and that is Green Giant. We've all grown up with the friendly face of the Jolly Green Giant on cans of green beans and bags of frozen corn kernels. I recently discovered that Green Giant has been working on a giant surprise for all of us. 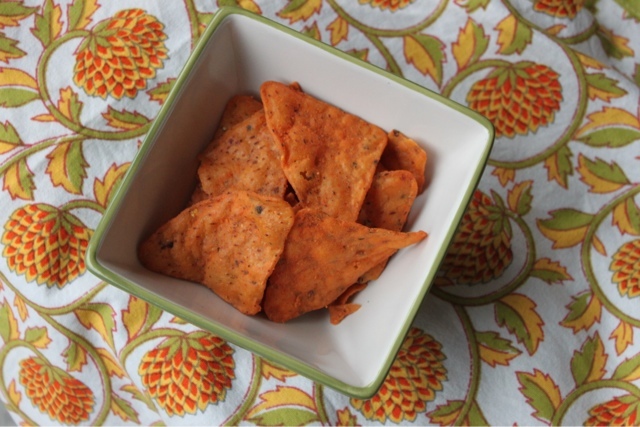 The company has taken those famous vegetables and used them to create Veggie Snack Chips! If your kids are like mine, they are always rummaging through the kitchen looking for chips. I'm happy that there is now an alternative to the standard potato and corn chips. 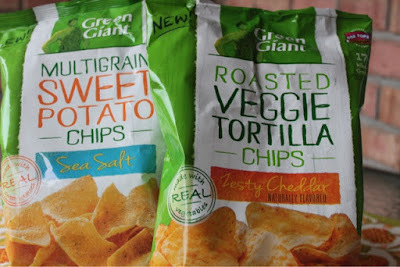 With these Green Giant Veggie Snack Chips, I'm able to feed the children chips that are made with real vegetables and are full of whole grain goodness. And, the best part is that flavor is not compromised. Both varieties of the chips I tested were crisp and flavorful. I want to incorporate more whole grains into my family's diet, but I want it to be an easy process, a simple addition to our eating routine. I can't think of anything that is simplier than opening a bag of chips and snacking our way to better health. Both varieties of these chips are tasty and positive additions to my children's daily lunch routine. Product Information: The Green Giant™ Roasted Veggie Tortilla Chips – Zesty Cheddar Flavor are made with real vegetables, 17 grams of whole grain per serving (48g are recommended daily), and are naturally flavored. My opinion: I enjoyed snacking on these chips. The flavor and texture were similar to one of my favorite non-healthy chip. 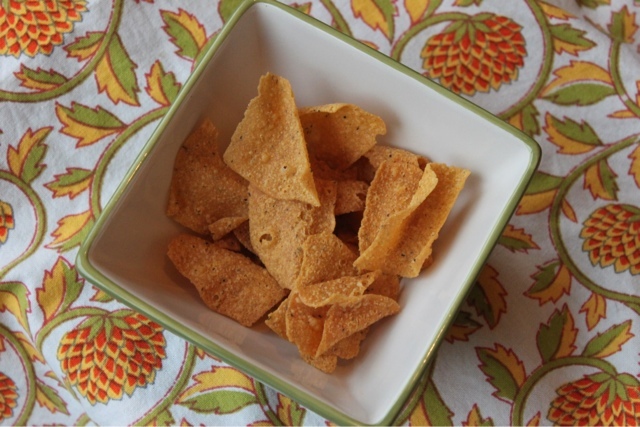 These chips are perfect to eat alone or alongside your favorite sandwich. I also have a recipe that uses tortilla chips and I think these chips would perfectly in that recipe. These were a winner! 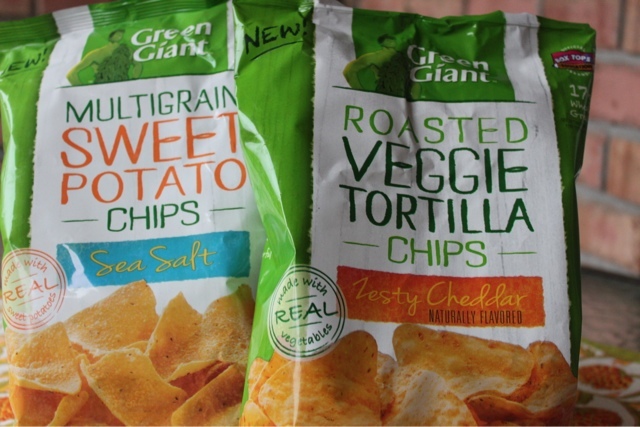 Product Information: The Green Giant™ Multigrain Sweet Potato Chips – Sea Salt Flavor are made with real sweet potatoes and made with 14 grams of whole grain. Plus, they contains 40 percent less fat than regular potato chips*! My opinion: Even if you're not a fan of sweet potatoes, you'll still want to try these chips. The sweet potato gives the chip a faint sweetness in the background. The sea salt partners perfectly with that slight sweetness. Because those two flavors are not overwhelming, these chips will work perfectly with your favorite dip or salsa. For more information on Green Giant's Giant Surprise, check out Green Giant's Facebook page or see the surprise talents that Green Giant has unearthed at the Green Giant YouTube channel. Interesting. I use their products, but haven't seen this one in the grocery yet.